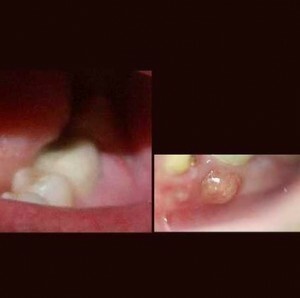 Death by Abscess Tooth: It Could Happen to You Post-SHTF! Normally, I don’t like writing about medical topics as I’m not qualified to discuss them like the Alton’s are. Regardless, I wanted to point out a real-life situation that happened to my family only a few weeks ago. Long story short, my wife’s uncle passed away at too early of an age due, I’m told, to not more aggressively treating an abscessed tooth. Don’t worry, they weren’t exceptionally close but it was still a shock to the family. Anyway, the story goes that he was complaining of a toothache (or general face pain associated with it) which was diagnosed as an abscessed tooth months ago. It seems the medical professionals attempted to treat the infection first using various antibiotics over that time—I don’t know which ones—which didn’t seem to work. Ultimately, he ended up in the hospital with heart complications that eventually led to his death due to various systemic failures. According to the doctors there they said that it was all a result of the abscessed tooth not being dealt with fast enough or early enough. I assume they felt the tooth needed to be pulled early but I always thought you needed to treat an abscess with antibiotics before pulling the tooth, though this appears to be up to the medical professionals. Again, this is all hearsay funneled through multiple people so I could have some of the facts a bit wrong. The point simply is that even seemingly treatable problems such as an abscess tooth in modern times aren’t always curable when the healthcare system is functioning like normal. If/when the SHTF during a grid-down collapse something like an abscess tooth (or even lesser problems like a poorly treated cut) could easily turn deadly. Just think about what life must have been like a few hundred years ago when antibiotics weren’t readily available and, even worse, when there were all sorts of “snake oil” salesmen… who desperate people believed! I know it’s possible to stockpile fish antibiotics (and I do) for such occasions–Dr. Alton has several good articles on the topic–but looking at the use of these antibiotics in the hands of a layman like me, I shudder to think about trying to properly diagnose and treat a potentially serious illness like this one. After all, if the doctors can’t get it right in normal times, what chance to do I have? Likely a very small one, indeed. Honestly, this event has made me reconsider my small stockpile of fish antibiotics. First, I doubt it’s nearly enough. Second, I probably don’t have the right ones (or the right combinations) for more serious problems. Third, I almost certainly don’t have the knowledge to use them for something like this! In fact, I might do more harm than good in this instance… who knows. This incident is definitely making me consider searching for more knowledgeable people I might be able to rely upon during a grid-down situation. Who that can be where I live now, I don’t know. At the very least, it’s also making me less foolhardy in assuming I can be a medical professional. Hopefully, you’re not making the same poor assumptions I have.